Nothing like receiving an unexpected Christmas gift in the mail from a longtime friend. 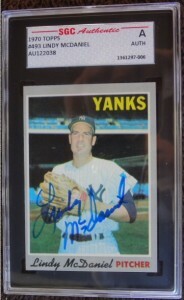 A signed 1970 Topps Lindy McDaniel baseball card. From John Letizia, who really got me into baseball back in 1970 when we were in the 3rd grade. At the time if you’d asked me my favorite team, I’d say the Yankees but Letizia was a huge Yankee fan and he showed me baseball in an enthusiastic light I’d not seen before. ‘Turned me on’ to the game. Huge Bobby Murcer fan. 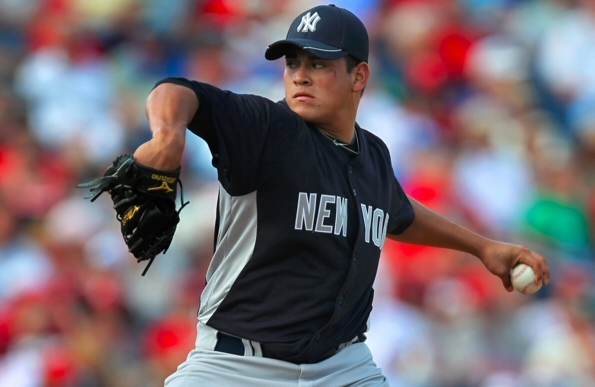 In the 1st Wave of Ace Relievers? The errorless games mark was news to me but of course he was a reliever so not so impressive, as he’d only be playing an inning or so every game. 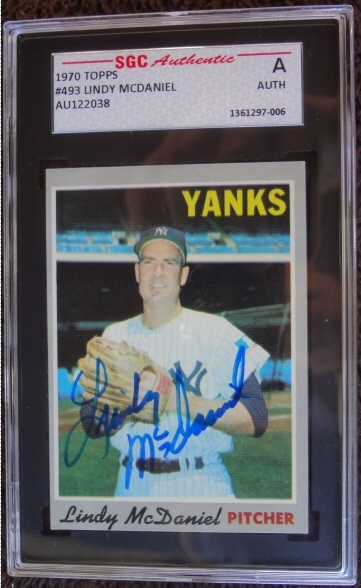 But what was impressive from the back of his baseball card was that he was exclusively a reliever so early on — starting in 1959 and through the sixties. 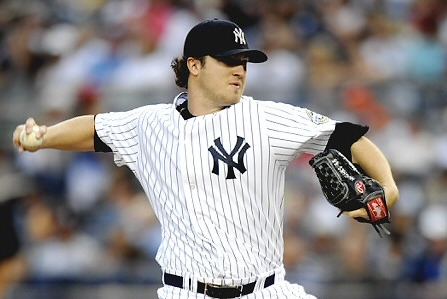 He had to be part of the first wave of ace relievers. Having read about the Yankees championship runs of the ’50’s I knew the Yankees were one of the first and only teams to have a closer — Joe Page. Other teams couldn’t afford to have a good pitcher waiting to close out games, and used relievers as mop-up men. A quick check of Yankee pitching history shows they had an ace reliever as far back as the late 30’s and 40’s — Johnny Murphy. Other teams, like Detroit, Cleveland, or Chicago, didn’t. 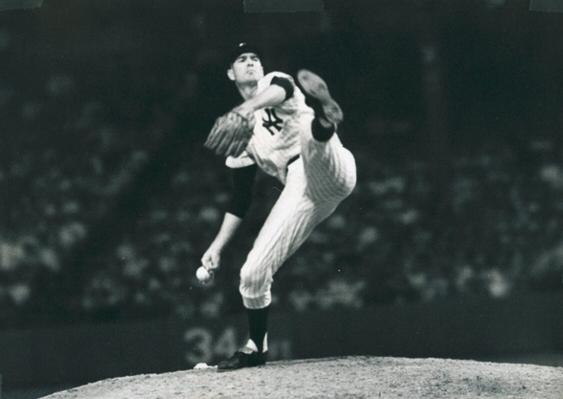 Lindy turned from starter to reliever round about 1959 when he went from 26 games in 1958 to 62 games in 1959 — and put up dominant numbers thru the 60’s. His conversion from starter to reliever is a story only hinted at on the back of his baseball card — he had a horrible ERA in 1958 then spent time in Omaha before coming back in 1959 and posting sterling numbers as a reliever. Did he run into arm trouble? Did he go to minors and invent a new pitch or simply learn the pacing of pitching only 1 inning but every day? For that we search the web. 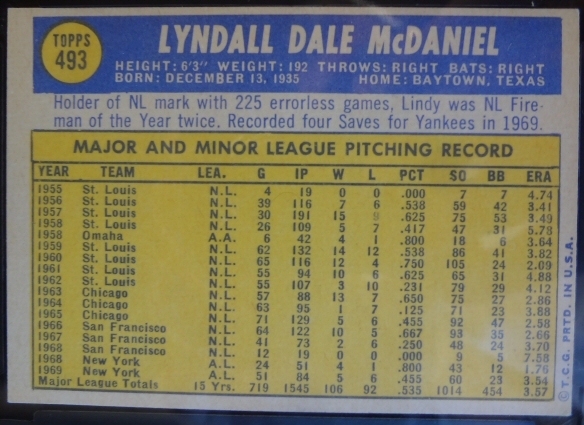 According to the Society for Baseball Research: McDaniel was a bonus baby who went straight to the big leagues, but when he pitched poorly in 1958 he was demoted to the minors. He tried to earn back his starting spot in 1959 but after several bad starts he was simply dumped into the ballpen; he developed a forkball and flourished. According to wikipedia, Lindy in 1960 won the first-ever Sporting News Reliever of the Year award, for the National League. So anyway — what a great gift. 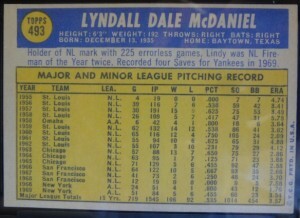 Got me researching Lindy McDaniel and found out a little bit more about baseball along the way. Thanks John!